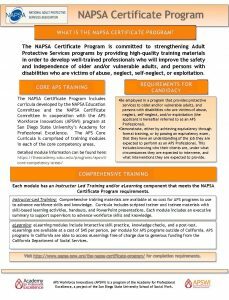 The Adult Protective Services Workforce Innovations (APSWI) Program has received generous funding from the California Department of Social Services (CDSS) to coordinate and provide a limited number of National Adult Protective Services Association (NAPSA) Certificates to APS professionals in the Southern California counties of Imperial, Los Angeles, Orange, Riverside, San Bernardino and San Diego. To register for one of these CDSS-funded NAPSA Certificate slots, please talk with your county training coordinator. Complete page 1 of the NAPSA Certificate Application. Applicants may receive training credit for NAPSA Modules that have been successfully completed up to two years prior to the application date. Click on the Fill and Sign tool in the PDF version. (Note: When in the Fill and Sign mode, click on the arrow at the bottom of the first page to access the second page.) Use the second page to keep track of your training progress. Complete a training for each the Core Competencies. 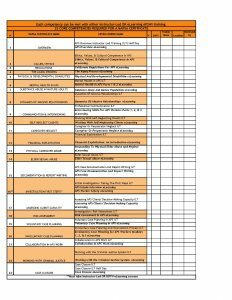 Complete page 2 of the NAPSA Certificate Application as you complete each training. See Certificates and Transcript page for instructions on how to obtain this documentation from the Academy LMS. Missing a training? Cross-check which of the Core Competencies you are missing with the available NAPSA to APSWI Table of Core Competency Areas. 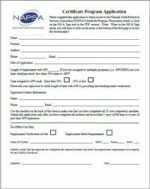 Ask your supervisor to complete the Employment Verification Form. NAPSA Certificate application (fully filled out and dated 01-JUL-17). Transcripts, certificates of completion or other supporting documentation that shows successful completion of all Core Competencies. 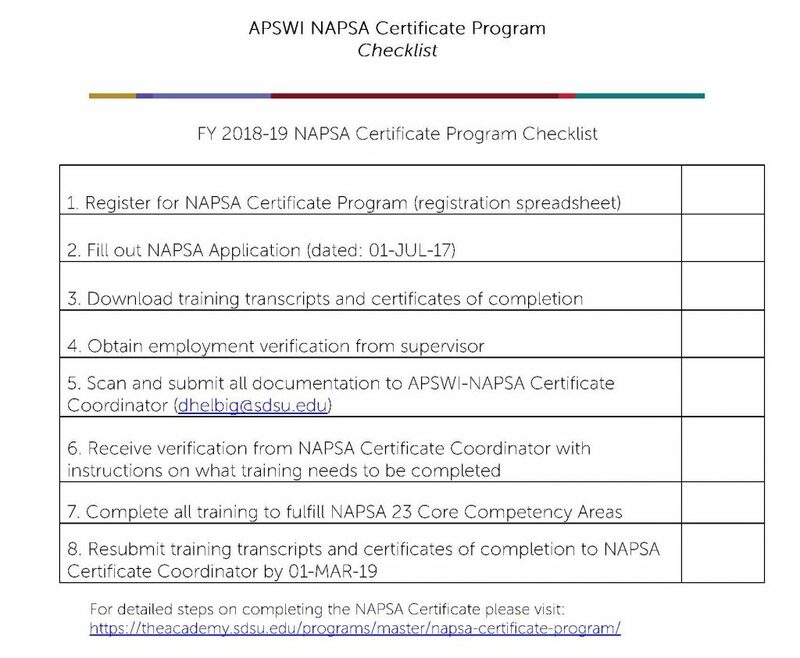 Download the APSWI-NAPSA Certificate Program Checklist to track your progress.